The restructuring initiatives provide a wide range of options, but a company’s business leaders should develop a thorough internal analysis of the company’s current strengths and weaknesses to determine which approach is best. Companies in the emerging markets will be restructuring in greater volume and at higher frequency in the next few years. The opinion is due in large part to macroeconomic uncertainty globally and a slowdown in the Chinese economy – in the form of a downward shift in growth that is reverberating across the countries. Choosing the right approach when restructuring very often makes the difference between a successful turnaround and one whose tremendous amounts of invested corporate time, resources, and value get lost. It’s challenging, though, to decide which strategy – be it cash management, corporate expansion, overhead optimization, or efforts to enhance revenue – will deliver the desired results. In addition to gauging the sentiments about trends and market conditions across the emerging markets we need to understand which restructuring strategies would see the widest applications and which would present the most difficulties, because certainly, regional differences between countries give each its intricacies that call for a tailored approach to restructuring. Very few of the companies take a proactive approach to restructuring – despite widespread realization that early actioncan give corporate leaders greater control over the process. Restructuring under financial pressures leaves fewer options on the table and makes it more difficult to avoid bankruptcy. Instead, the majority of restructuring would commence only after the first signs of distress. The success strategies that can be applied to cope with operational and financial changes include mergers and acquisitions (M&A), cash management, overhead optimization, and revenue enhancement. For a company struggling for growth, an acquisition can provide the impetus to reach new markets and explore new product segments. That makes acquisition a popular tool that would be a commonly used tool for restructurings in the years ahead. Conversely, when a company is being impeded by a noncore unit or one that is performing poorly, a divestiture might offer the best chance for a successful turnaround. However, divestiture remains a relatively unpopular choice. The ability to accurately predict cash flow is the most important skill when managing cash flow. Finding quick resolution to issues between debtor and creditor is seen as the second most-common approach to cash management. Additionally, less popular, cash management tactics include renegotiation of customer terms and working-capital reductions.. Cutting overhead costs is another important strategy for improving a business’s cost competitiveness and growth opportunities. Especially, employee layoffs would be most common under this approach, followed by scaling back production. In contrast, outsourcing is seen as a much less likely option. Companies trying to develop and secure new sources of revenue or to boost existing revenue streams will do so by exploring new market segments. Developing new products and services will also be a useful tactic, complemented by pricing more effectively and negotiating business partnerships. With acquisition rated as a particularly important tool for turning around an underperforming company, getting the acquisition process right is likely to be decisive in a large number of restructuring situations. A poorly executed integration can have a lasting, negative impact on the future fortunes of a company. Postdeal processes represent the most challenging aspect of a deal, so that the most time and the most resources must get dedicated to the earlier stages of the transaction. Postmerger integration deserves more attention than it is being given. Digital advances offer promising complements to traditional restructuring practices and are ways for companies to gain advantages over their market rivals. However, digital transformations have been slow to take root in emerging markets. Generally, the restructuring profession has yet to establish a foothold in emerging markets comparable to that in North America or Europe. Although regulatory and political developments are paving the way for a smoother restructuring process, the markets are still less mature than markets in the West. That is the very reason that executing a corporate restructuring in emerging markets is more difficult than in North America and Europe. There is clearly no single right solution for restructuring or for trying to emerge from distress. However, the options paint an interesting picture of attitudes in emerging markets toward finding solutions to alleviate financial and operational ailments. In general, the growing sophistication about the restructuring process, as exemplified by choice of acquisition—a complex time- and resource-intensive process—as the most popular route for restructuring. By way of contrast, the general sentiment tilted toward less-complicated procedures such as working-capital reductions and the sale of an underperforming business. Equally, the digital revolution and its incorporation into the restructuring process to transform a business demonstrates an understanding of the full range of tools now on offer to corporates leaders undergoing reorganization. Digitally transforming the business in tandem with one of the four main strategies can hold the key to unlocking the door to the next level in a company’s growth and development. Perhaps most important is a growing recognition of the importance of timing for a successful corporate reorganization. 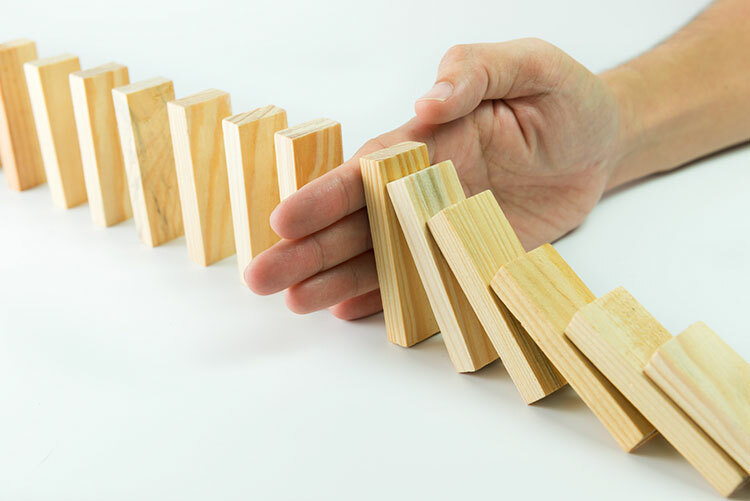 Although most companies are waiting until signs of distress are apparent, there are signs that that approach is changing, with market participants readily admitting that delay is very likely to have a detrimental effect on the likelihood of success. The studies reveal several major findings corporate leaders must consider. Waiting until stress becomes apparent or worsens may not leave sufficient time to prepare and execute an effective turnaround strategy. Instead, consider a proactive approach that takes current market conditions and rivals’ activities into consideration. Consider which strategy is best for your organization. The restructuring initiatives provide a wide range of options, but a company’s business leaders should develop a thorough internal analysis of the company’s current strengths and weaknesses to determine which approach is best. Likewise, to maximize results, they should consider a cross-strategy attack that combines elements of M&A, cash management, overhead optimization, and revenue enhancement. The complexity of a restructuring can leave even the most-experienced and most-resilient corporate leaders at a loss. Knowing when to bring in external support and advice is vital to managing losses at a declining company and ensuring the turnaround achieves the desired results before further distress erodes corporate value.